In this article, Judi Hand, chief revenue officer for TeleTech, uncovers 3 ways customer data can increase workplace efficiency. Innovative training and development programs built, tested and lived in-house. In this article, Steve Pollema, senior vice president of TeleTech’s Customer Technology Services division, on how technology and strategy work as a balancing act and how invisible technology can be seen. In this article, Judi Hand, chief revenue officer for TeleTech, uncovers 4 steps to building an army of ambassadors. In this article, Steve Pollema, senior vice president of TeleTech’s Customer Technology Services division, uncovers how automation is the future of work and how it’s affecting company culture in a positive way. In this article, Jonathan Gray, SVP of Marketing for TeleTech’s Growth Services division, gives 4 tips on preparing for the future of sales. In this article, Steve Pollema, senior vice president of TeleTech’s Customer Technology Services division, gives 4 tips on how to boost CX speech analytics. In this article, Marty DeGhetto, COO and EVP of TeleTech, uncovers four ways to make metric measurements better. In this article, Judi Hand, chief revenue officer for TeleTech, uncovers the advantages of using account based marketing. In this article, Jonathan Gray, SVP of Marketing for TeleTech’s Growth Services division, uncovers four ways to make b2b sales as smart as b2C Sales. In this blog, Jorge Chediak, managing director of Revana Digital, a TeleTech Company, talks about the tools needed to quickly boost your website conversion. In this article, Steve Pollema, senior vice president of TeleTech’s Customer Technology Services division, explains three ways to go all-in on cloud transitions. In this article, Marty DeGhetto, COO and EVP of TeleTech, offers three suggestions for companies looking to create engaging workplaces. In this article, Judi Hand, chief revenue officer for TeleTech, uncovers three ways to find moments of truth, and how to put them into practice. Steve Pollema, SVP for TeleTech’s Technology Services division, explains how organizations with strong omnichannel strategies are able to retain the most customers. In this article, Judi Hand, chief revenue officer for TeleTech, explains how combining automation with manual options can enrich customer experiences. In this article, Jonathan Gray, SVP of marketing for TeleTech's Growth Services division, uncovers five ways businesses can leverage customer data for their B2B marketing efforts. Steve Pollema, senior vice president of TeleTech’s Customer Technology Services division, explains how advanced customer experience technologies can significantly upgrade customer experiences, leading to increased revenue and loyalty. Mike Haley, SVP and global business development leader at TeleTech, offers six reasons why brands should spend more time focusing on customer retention. Jonathan Gray, senior vice president of marketing for TeleTech’s Growth Services division, uncovers how brands can optimize their martech to exceed their business goals. Jorge Chediak, managing director of Revana Digital, a TeleTech Company, uncovers simple steps marketers can take to extract valuable customer insights from their customer data. Judi Hand, chief revenue officer for TeleTech, summarizes 4 AI strategies marketers should consider when planning for the future. Decision-making and planning strategies focused on the customer as the core of the business will drive exceptional value and company growth. In this article, Jonathan Gray explains three things businesses can learn from Trump's campaign marketing tactics. Peter Ryan, a well-known CX expert and industry analyst, posted his positive commentary about TeleTech’s recent acquisition of Atelka and strengths of the Canadian market right now. Jonathan Gray, senior vice president of marketing for Revana, uncovers four ways brands can focus their predictive analytics strategies. Judi Hand, president and general manager of Revana, explains four ways that businesses can leverage consumer marketing technology to grow market share. Interview with Thomas Monaghan, General Manager for Bulgaria and Macedonia of Sofica Group. Martin DeGhetto, executive vice president, customer management services, discusses the impact employment reform is having on customer experience. Jonathan Gray, senior vice president of marketing for Revana, provides examples of multichannel techniques that help the most in sales and marketing efforts when targeting customers. Judi Hand, president and general manager of Revana, gives insight into why companies should consider outsourcing to help boost ROI. Is Your Customer Journey Worth the Trip? If your bank can’t respond to the demand economy, you may become extinct. Read this article about the three key guidelines for offering superior retail service. Written by Ron Wince, President and General Manager of TeleTech Consulting Services. 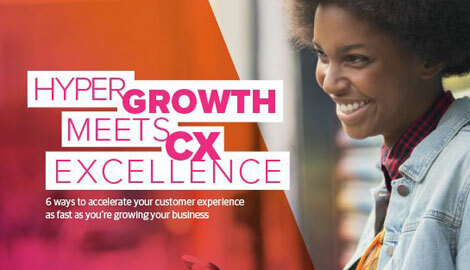 Customer Experience, The 'Now' Marketing Tool? Who Will Become The Digital Don Quixote for Healthcare Consumers?